When a single parent decides to date, it can be a harrowing experience. Questions such as; Am I over my feelings for my ex-spouse, Am I physically ready to begin mingling, Am I psychologically ready to engage in the minutia of meet and greets, Am I spiritually ready to date only believers or be open to either. How about while you’re putting your best foot and face forward, there’s that sweet child at home who requires a little extra attention? 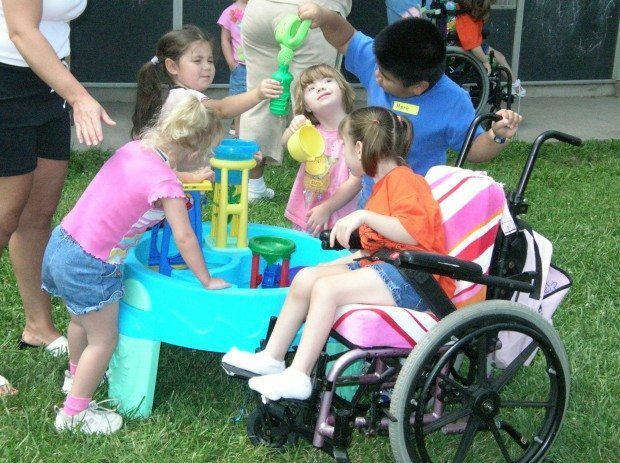 Will your new Betty or Beau take away precious time required to manage your child’s special needs? Let’s be honest. It’s a concern we all have. How do we best protect our children; especially those with special needs. Sometimes we shelter them from the outside world. That also includes the new person you’re considering dating. How long before you share with your new love interest that you have a special needs child? Are you willing to accept the consequences once you disclose your child’s condition? What if they also have children, how will that affect your child? These are but a few of the very real-world decisions we must consider before we even agree to a lunch, or second date. It breaks my heart to even have to write this, but I’ve faced these challenges. I’ve also experienced the concerns, angers and disappointment of introducing people to my special needs child. Special needs children and adults are frequently victimized with abuse. Their loving nature often prevents them from reporting or avoiding their abuser. As parents we often threaten what we’d do if someone laid a hand on our child. Well, this is where an ounce of prevention is worth a pound of cure. Instead of facing a grand jury for justifiable homicide, use these three tips to weed out potential harm, and possibly find the perfect partner to co-parent your little miracle. 1.Not everyone you meet will be enamored with your special needs child. Before God blessed my life, I never knew anyone with Down syndrome. I didn’t know what it was, except for what I’d seen in an old television show with a character named Corky. 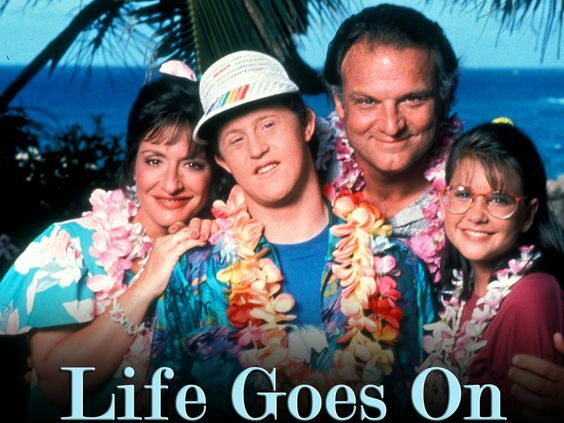 It was a mainstream family drama that portrayed him with respect and humanity, but still, after they show was over, I still knew nothing about Down syndrome. It’s important to understand that while your children, special needs or not, are the apple of your eye, others may not be so inclined. It doesn’t make them wrong, it just makes them not right for you. Can people change their opinions? Most with education through familiarization, and becoming accustomed to the behavior and needs of the child might gain an appreciation or at the very least an acceptance. But do you want someone to tolerate your child, or accept them as their own? 2. Although they may truly adore your child, they may not have the temperament for a high-maintenance relationship. Adoration is what’s exhibited when people get to know your child on visits or they see them in public with you. It’s also making nice comments about your child on social media posts you chose to share. Unfortunately, this doesn’t equate to a desire for changing a thirteen year old’s diaper, or feeding your twenty-one year old every meal. Another consideration is the concern over financial burdens. We know first hand the difficulties of securing proper resources for our child, but to an outsider they may see the expenses as insurmountable. Money is already a hot topic for couples. Concerns about extra expenses such as therapy, frequent hospital visits, special use vehicles and home modifications may run off the less than committed. In all fairness, we didn’t pray for special needs kids, but once we were blessed with them, our world view shifted drastically. It isn’t fair to chastise other people who either don’t have the heart or the stomach for high-maintenance care. 3. Always ensure your child remains as much of a priority in the new relationship as you are. As a Chief of Police, my life was very high-profile. My son was always affixed to my identity. He is a part of who I am, so anyone I ever met,was either aware or became aware they were dealing with a dynamic duo. There’d be no shipping him off to a sitter, nor was he going to be dragged along on outings unless there was a super-high level of comfort with the person and their potential. My son attending National Day of Prayer. Always by my side. I’ve met parents with special needs kids who thought it was okay to expose them to various love interests as a sort of audition because they don’t fully understand. Trust me, they do comprehend and they do not forget! How will you know the right match? Observation between them with and without you in the mix as a buffer. Not only listen to the words used when your love interest refers to your child, but how they say those words. Listen for red flag terms like, “it” – “that kid” – “what’s his/her name” – “your child” – and may the good Lord protect anyone who uses derogatory terms such as retard, dummy, crip. Micro expressions are key in police interrogations, and you should adopt their use as well. These are involuntary movements of the body, particularly the face. Eye rolling, teeth smacking, lip snarling, hand touching the nose often, red tinge across the top of the ears. These can all be signs of deceit, contempt, nervousness, and generally insincere communications while discussing your child. If your potential candidate passes the initial phases, and they too have children, apply the same principles as they interact with your child. Children can be cruel. Children also exhibit behavior observed from the parent. If you see potentially abusive or harmful behavior from one of their kids, you should consider the tree from which the apple fell. You may be asking where’s the positive in all of this. While these 3 items may eliminate most if not all of your current interests, they will ensure your sanity and your child’s safety as the relationship progresses. No one wants to jeopardize their child’s quality of life because someone has a nice smile. Stand firm in your faith. God will place His desires in your heart when it’s time for a mate. Be mindful in your communications with Him. If God wants you to marry, He will deliver not only the person He has for you, but for your child. Please share your safeguards in the comments below.